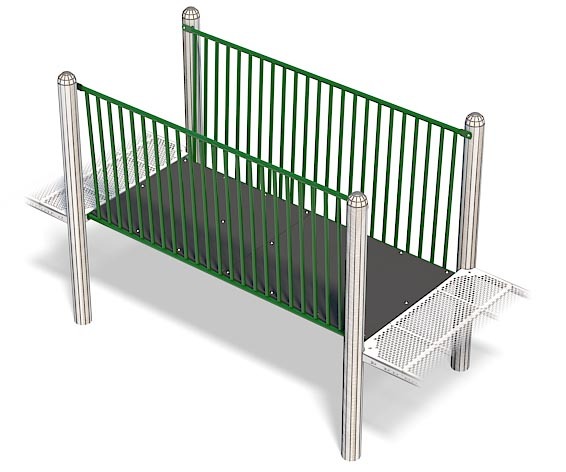 Connects two decks at same height with a 45° bridge. 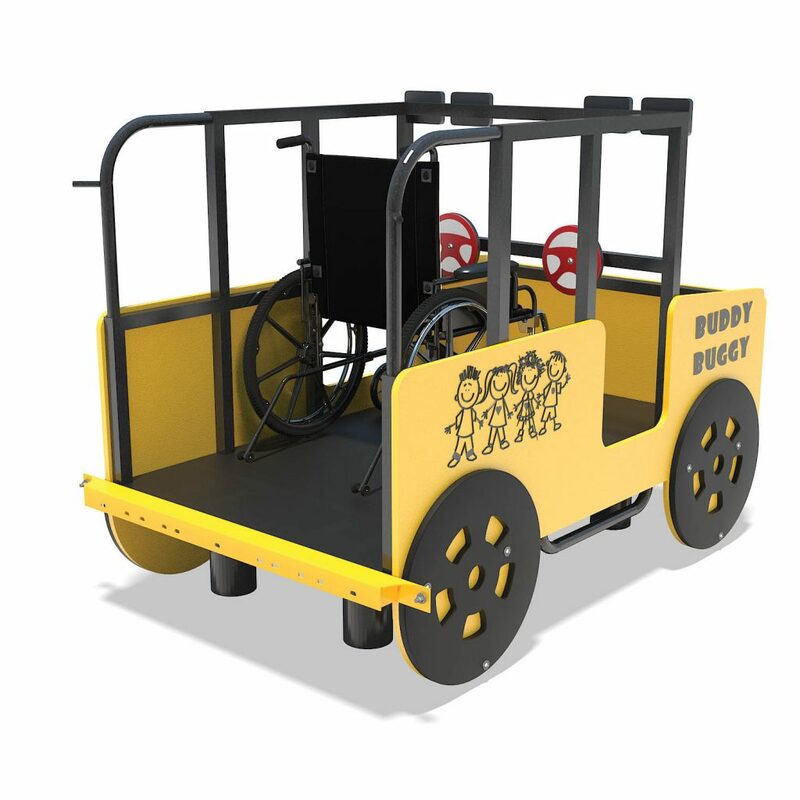 Wheelchair accessible designed Buddy Buggy attaches to a deck to allow children to wheel up and pretend to drive away with friends. Connects two decks separated by a 1ft elevation change. 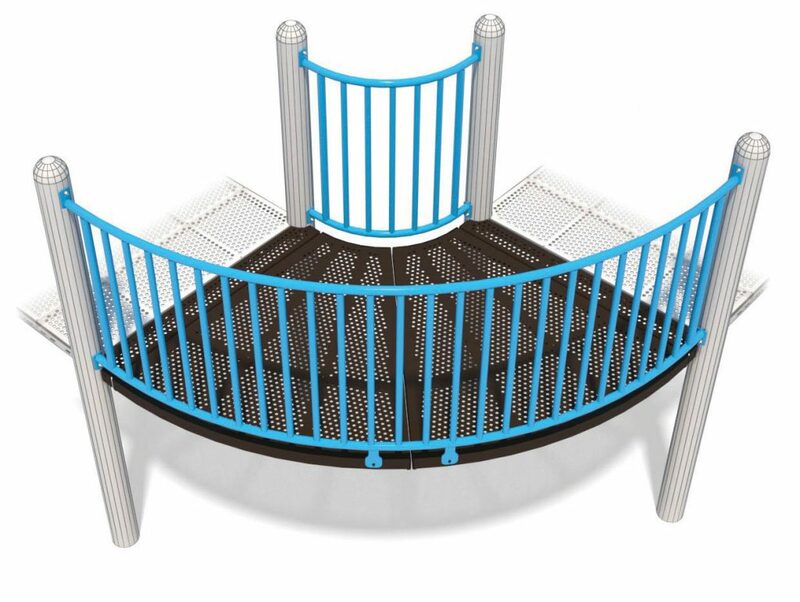 Connects two decks at same height at 90° from each other. 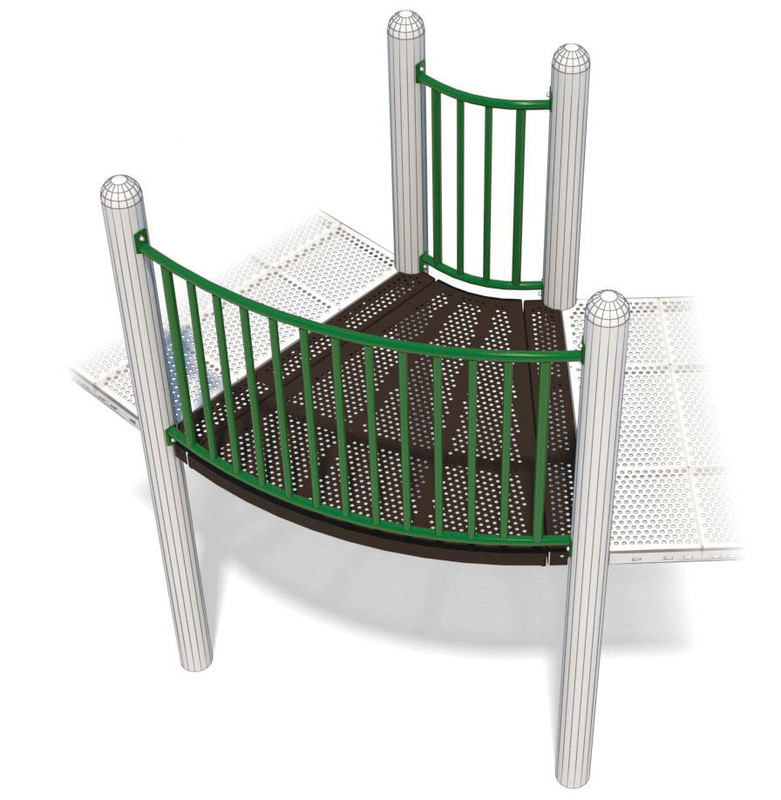 This bridge is a great way to add twists and turns on the playground. 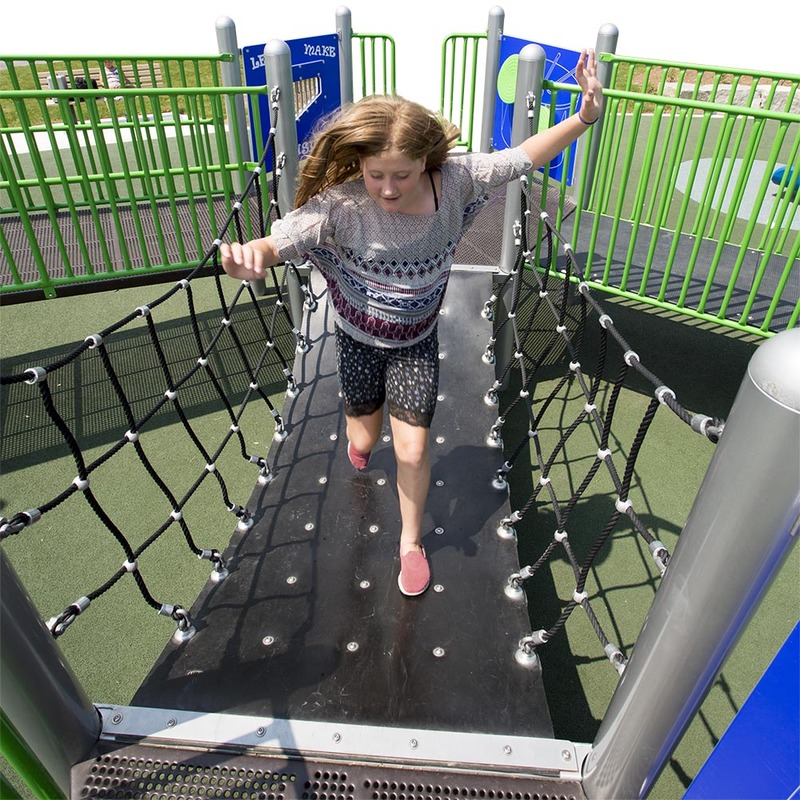 Combine with the 45° Crawl Tunnel for added fun. 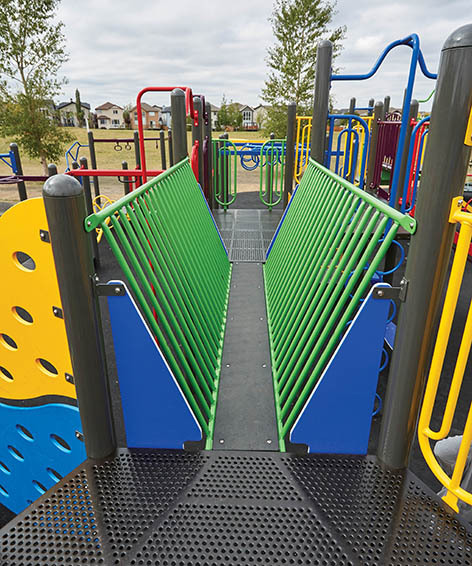 Connects two decks at same height with a long and gentle arch children can traverse. Connects two decks at same height with a narrow bridge crossing. 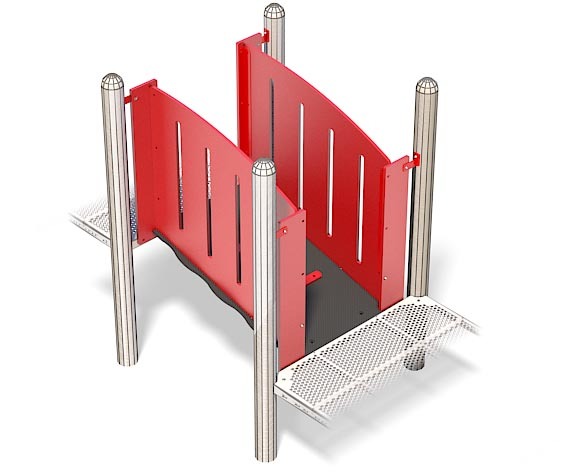 A wheelchair accessible bridge that connects two decks at same height. 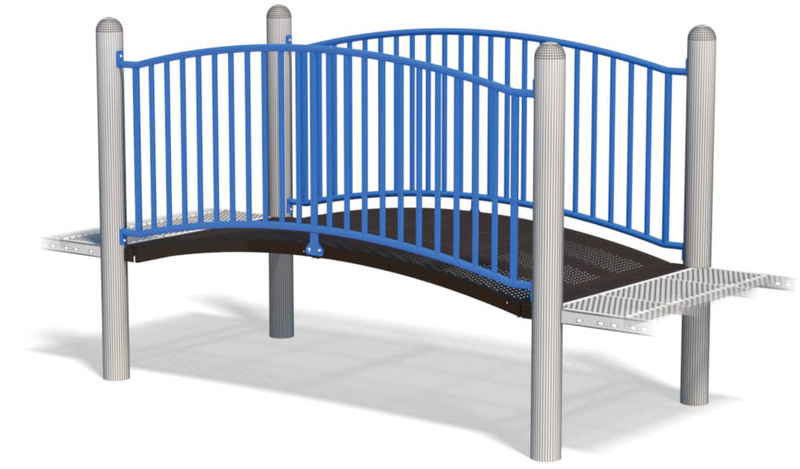 A wiggly, swaying, moving and dynamic bridge that connects two decks together. 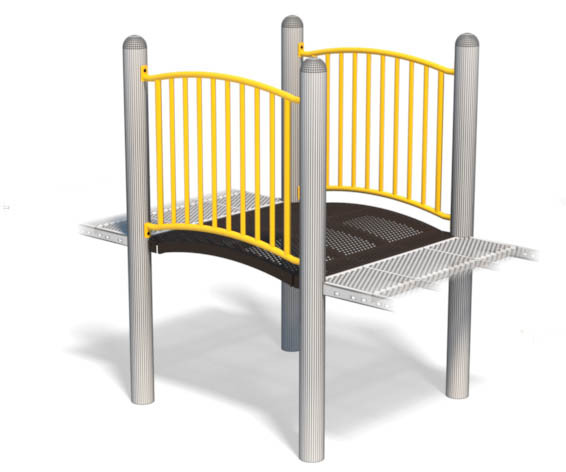 Connects two decks at same height with a gentle and fun arch children can traverse.